In the Beginning - um, one year ago - there was a hard-working desk jockey who needed an outlet (that's me). That outlet turned into drawing and painting. My style is still undefined. Different mediums attract me for different subjects, so I am in a delirious state of learning each time I sit down to create. I am excited, and sometimes frustrated, to see what emerges. Luckily the excitement wins out! 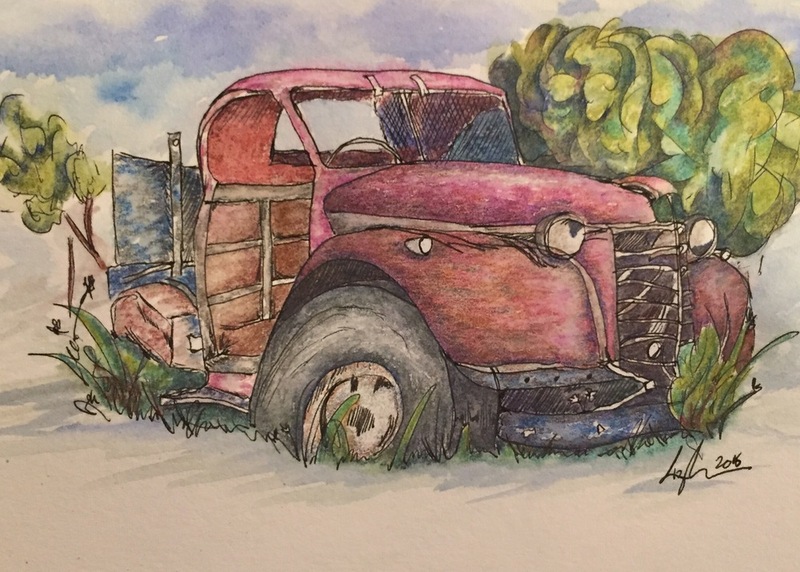 Watercolor seems to be my first love, but I have a good hand for anything in a pencil or pen format. Let's see where this ends up! If you would like to contact me with questions or for information regarding commissions or use of my images on greeting cards or in other formats, please reach out at lizkramerillustration@gmail.com.